If looked after properly, with regular brushing and flossing, your root canal treated tooth should stay trouble-free and provide a long lasting repair. 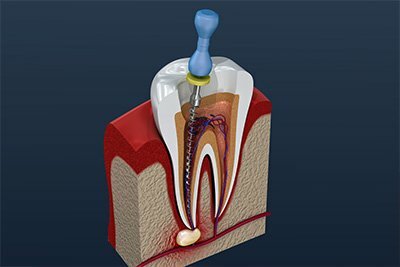 Even though the pulp has been removed, the tooth will stay intact because the canals have been sealed to prevent re-infection. Some form of crown is recommended over the remaining tooth to help protect it as it is more brittle than before. Regular check-ups are also recommended so any problems can be detected early.